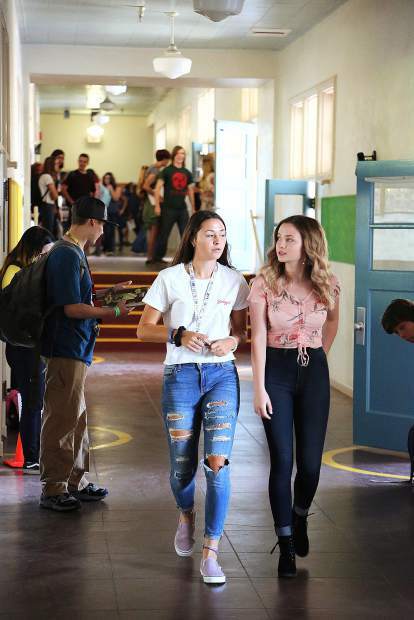 Sierra Academy of Expeditionary Learning's Roo Williams, and Savanna Williams, check out the halls of their school's new location inside the former Nevada City Elementary School, which was most recently Yuba River Charter School, Wednesday morning before the first class. 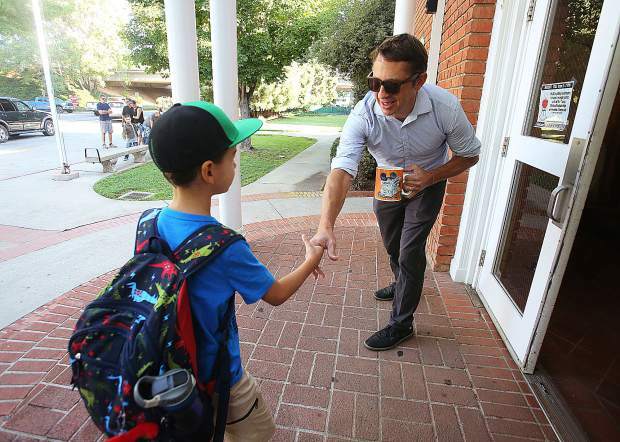 Grass Valley Charter School Principal Scott Maddock, greets his returning students at the old Hennessy Elementary School site in downtown Grass Valley Wednesday morning. 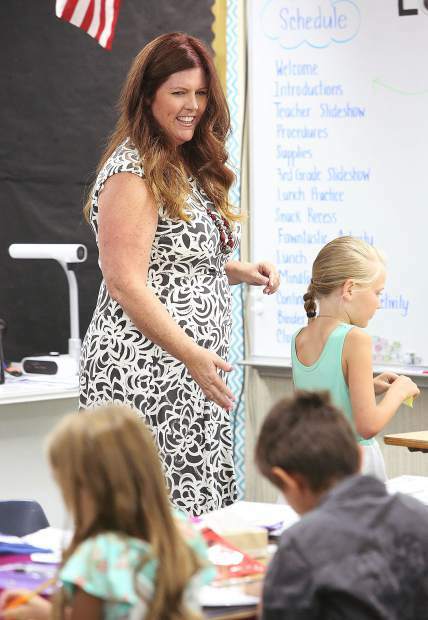 Mrs Carolynne Zelhart, a Deer Creek Elementary School 3rd grade teacher, gets the first day of school started with a smile Wednesday morning in Nevada City. 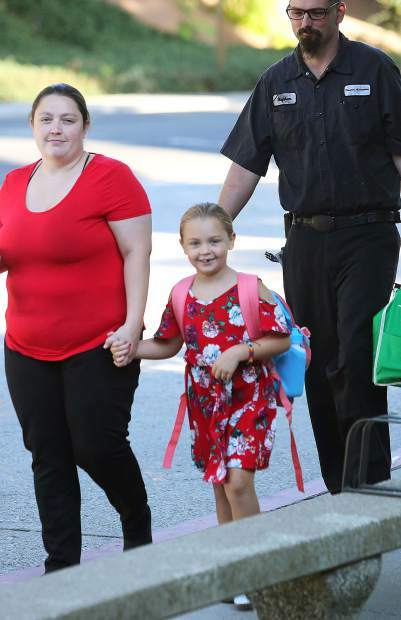 Shellbee Lee, a 6-year-old first-grader, smiles as she is led to her first day of school Wednesday morning at Grass Valley Charter School by her parents. 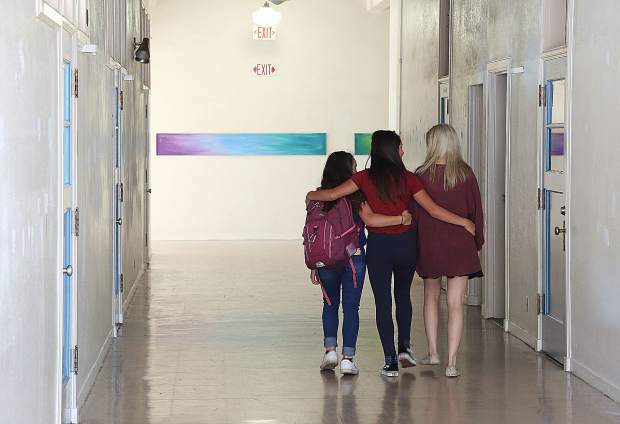 A trio of best friends walk to class together in the halls Sierra Academy of Expeditionary Learning's new location at the old Nevada City Elementary School site. 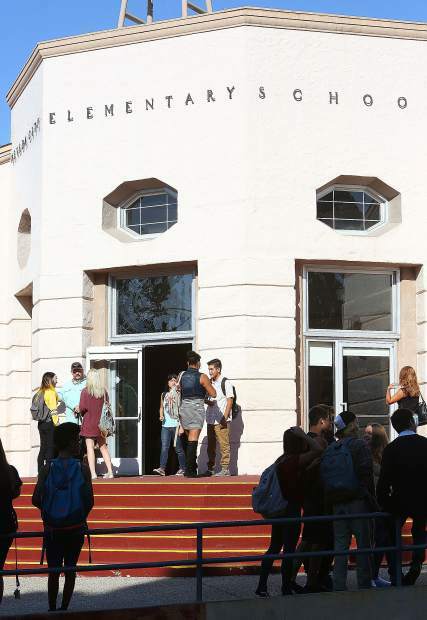 Sierra Academy of Expeditionary Learning students gather in the entrance of their school's new location at the former Nevada City Elementary School site last week as they say hello to fellow classmates and figure out where their classes are. 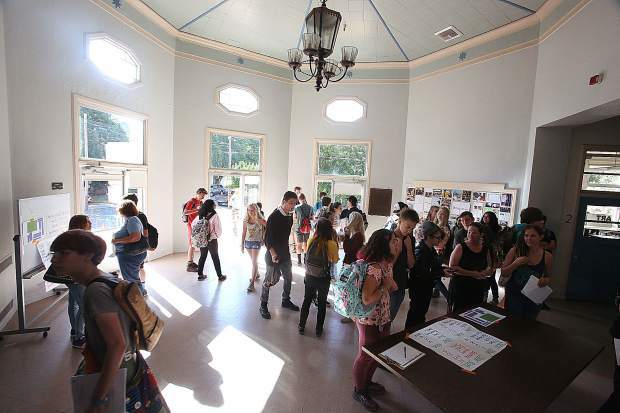 SAEL students ready for their first day of school in their new location, the former Nevada City Elementary School building in downtown Nevada City. 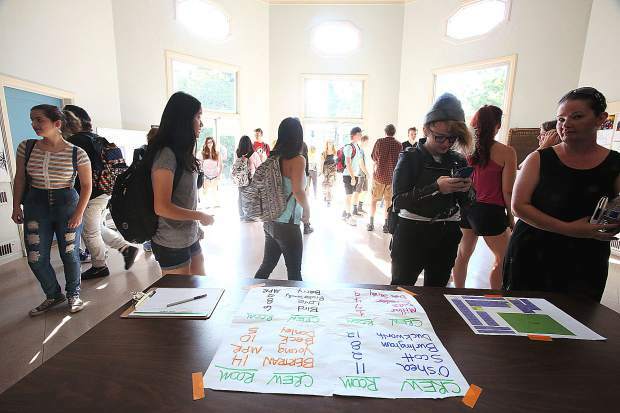 Students figure out where their classes are before the first day of classes at Sierra Academy of Expeditionary Learning. 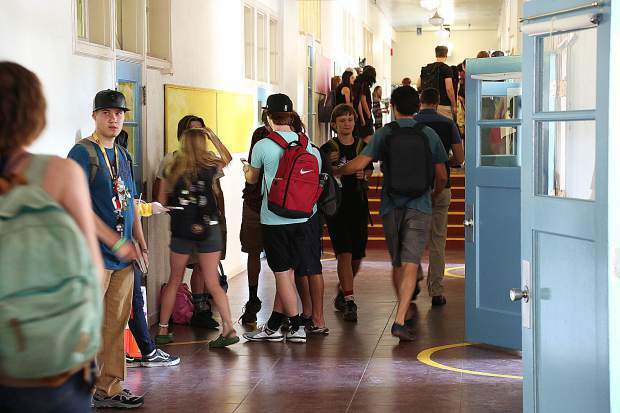 Eager students ready for a new school year last week at Sierra Academy of Expeditionary Learning's new Nevada City location. Eager students ready for a new school year Wednesday morning at Sierra Academy of Expeditionary Learning's new Nevada City location. 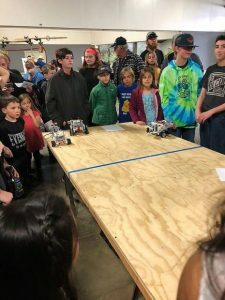 Students from across western Nevada County went through the annual rite of passage on Wednesday as school kids of all ages headed back to the classroom.